Irish commercial property returns rose by 2.3 per cent in the three months up to the end of June, their highest in almost six years, as capital values stabilised and the nascent Irish recovery gathered momentum. Property values, which have fallen by over 65 per cent for 21 consecutive quarters, finally saw a degree of stabilisation, slipping by just 0.01 per cent, according to the IPD/SCSI Ireland Quarterly Property Index. Yesterday’s findings, the most favourable since the property crash triggered a broader economic recession, will boost hopes of a continuing pick up in the market when the main sales and letting activities resume in September. Ireland’s commercial property assets, which have seen the largest fall of any market measured globally by the highly reputable researcher IPD, are responding to growing demand from international and domestic investors, attracted by the improving local economy, government incentives and massive income and value added opportunities. The last twelve months has seen a steady flow of sales from distressed bank loan books, increasing interest from private equity buyers and the first successful launch and capital raising of an Irish REIT. 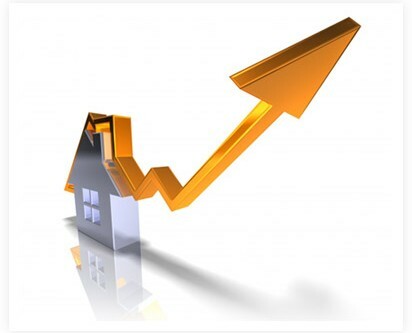 All of this has been translated into improving property market performance and sentiment. However, this interest has focused almost exclusively on central Dublin offices where the improved dynamics are driving the overall turnaround in the market. Office values rose by 1.2 per cent overall in Q2 but in Dublin docklands the increase was a full 5 per cent and in central Dublin-excluding the docklands)| the figure was 0.6 per cent. Outside the capital, or even in less central areas, values continued to decline, albeit at a reduced rate. Improvements in the letting market have been instrumental in driving this growth. For the last 18 months large international tenants have been relocating to Ireland, encouraged by government tax incentives, while local TMT (Jack to Check) financial sector improvements have also led to growing demand. Rents for central Dublin offices grew by 0.3 per cent in Q2 and in the docklands by 1 per cent. IPD says this has given investors the confidence to return to Dublin’s offices, where income returns are in excess of 10.3 per cent, provided tenants can be secured. However outside the Dublin office sector, which accounts for roughly 39 per cent of Irish commercial property, the recovery still seems a distant prospect. Though performance is slowly improving, both occupier demand and investor sentiment remain muted. The danger is that Ireland will undergo a two-tier recovery, much like that seen in the UK between London and the regions. In the beleaguered retail market, which returned 0.5 per cent in Q2, values fell by a further 1.5 per cent and even Dublin’s prime shopping streets continued to see further write downs in value. Shops and shopping centres returns remain dented by poor consumer sentiment and low occupier demand for space. Rents have fallen by another 2.2 per cent for retailers, due to the difficulties of securing tenants. They have now fallen by nearly 49 per cent in the retail sector since Q4 2008. In the industrial market, which returned 1.9 per cent in Q2, there is a more promising outlook though values continued to decline by 1 per cent. He said much would depend on the ability of the Irish economy to improve which, in turn, would lead to increased consumer spending and business growth outside of Dublin and in the retail and industrial sectors. Roland O’Connell, president of the Society of Chartered Surveyors Ireland, said demand continued unabated for good quality investment product of all types, from multi-family through to prime offices. Office rents had turned the corner but there continued to be uncertainty among investors as to when the same will be said about retail and industrial rents.